Being newly pregnant can be one of the most exciting feelings in the world, but you may be wondering when your baby bump will start to show and what it will look like. Some expecting mothers think their bump will just appear one day and look like everyone else's, but the truth is, every woman will have a different experience with how much she shows during the stages of her pregnancy. Watching your bump grow is incredibly exciting, so just enjoy the process! How Big Will a 6 Weeks Pregnant Belly Be? Your stomach will look normal as it's in normal days as your belly has not started showing yet. There are so many factors that go into when you will start showing. How soon you show often depends on whether this is your first pregnancy or not. For first-time expectant mothers, your stomach and abdominal muscles aren't yet familiar with the process of stretching and loosening they will go through. Therefore, most first-time mothers often don't start showing until around 12 weeks. For women who have already given birth once, these muscles are prepared to relax earlier in the process, so these women may show earlier than 12 weeks. Factors such as your weight can affect how and when your bump shows, and the position that the baby is in will also affect the size and shape. 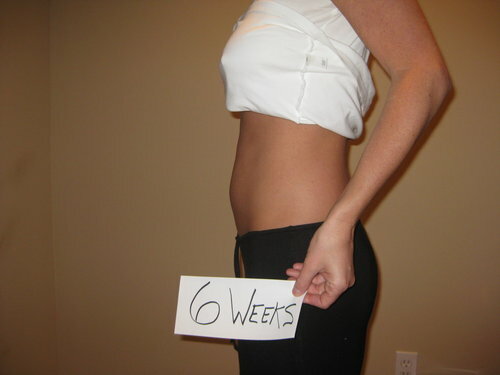 Here're some pictures of 6 weeks pregnant belly, from which you'll see that there is not much to look for. What If My Belly Starts Showing Early in First Trimester? Remember, every woman's body is different and handles the experience of pregnancy differently, so some pregnant women may start showing earlier than expected, even if it is their first time. There are a number of reasons that this can happen. This is a very common experience for pregnant women, and you should be prepared for episodes of gas build-up throughout your pregnancy that can result in bloating and constipation. In the early stages, this is often due to progesterone hormones relaxing your digestive system in order to make sure that a growing baby receives as many nutrients as possible. 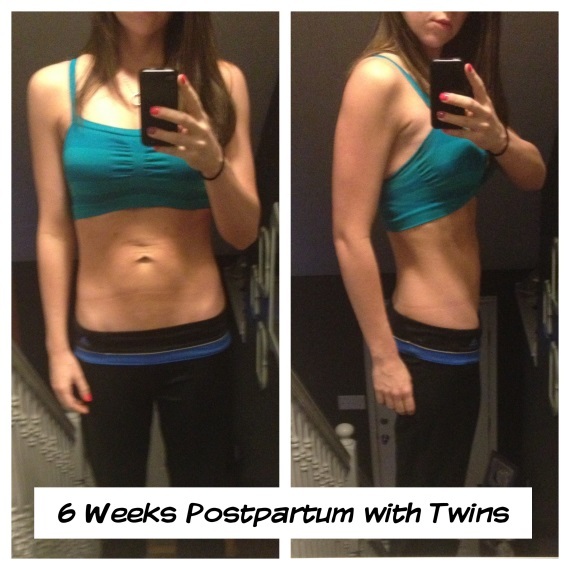 For those who have more defined abdominal muscles, it is likely that you will show a baby bump later. This is why women who have already given birth tend to show sooner; their abdominal muscles have already been stretched. You may tend to overeat in the early stages, which can lead to a larger 6 weeks pregnant belly. While yes, you will need to ensure your growing baby receives plenty of nutrition, he or she does not need as much food as you require, and therefore most nutritional plans won't incorporate excess amounts of food in the early weeks. Sometimes it is difficult to pinpoint exactly when conception happened particularly in the case of unplanned or untracked pregnancies. If you start showing earlier than you expected, it may be worthwhile to have a doctor check and make sure that you have the right schedule. 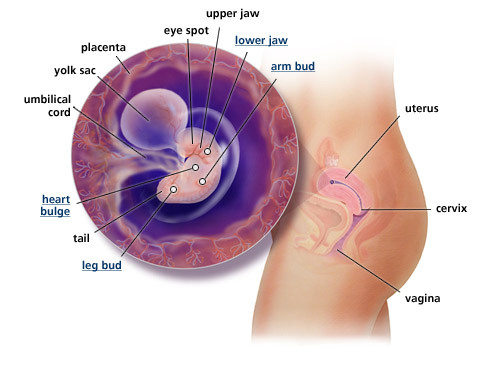 For smaller women, a baby bump is usually more noticeable earlier, but typically only to those who know her. These can usually be hidden by clothes, and are normal as a small frame adjusts to supporting a growing baby. How Is My Baby Developing at 6 Weeks Pregnant? There are so many developments happening quickly inside of your 6 weeks pregnant belly, and it is amazing to know how quickly your baby is on its way. At six weeks, the baby's heart is starting to develop into a structure more similar to its final form, rather than the tube that it starts out as. If you have an ultrasound at this time, you might even detect a very rapid little heartbeat that is working almost twice as fast as yours. A thin skin has started to develop around the baby, and the early stages of the arms and legs have started to bud. Organs like kidneys, the liver, and the lungs are where they should be, although they will continue to develop over time. Your baby’s eyes and nose will start showing slightly on ultrasounds, and you’ll be able to see where the ears will form. You will notice a lot of changes within your physical and emotional self during a pregnancy, but by the time you have a 6 weeks pregnant belly you will start to experience some of the most despised experiences. This is when morning sickness and exhaustion start to really affect a pregnant mother, and hormonal changes may be causing mood irregularities. While it is still early in the process, it is essential that you are eating the right foods during these critical stages of development, in order to ensure that processes unfold in the right way. Always know which foods to absolutely avoid in pregnancy, and try and improve nutrition if you don't follow a healthy routine. Similarly, exercise regularly and reap the benefits of vitamin D by spending time outdoors in the sun. When Is It Too Late to Get an Epidural?